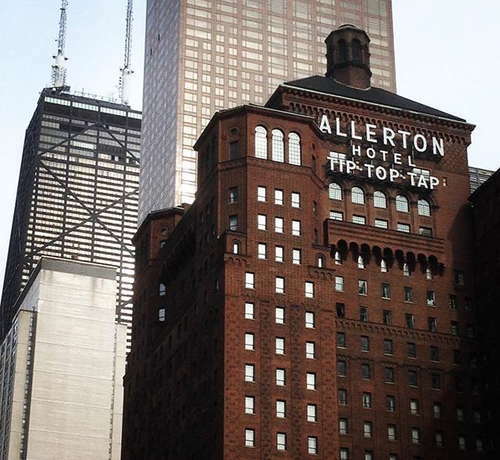 Named a National Historic Landmark in 1998, the Allerton was a \"club hotel\" for men when it opened in 1924. A recent renovation coupled with joining the Warwick brand in 2014 restored the limestone facade and left it with a more contemporary feel. Guest rooms are styled with an attractive mix of blue, white, and yellow; new king and queen beds are an added bonus. If you want to stay in the middle of it all--shopping, museums and dining--this is a very good choice. YOU SHOULD KNOW Wi-Fi at this hotel is not free. Rooms inside this 25-story skyscraper in the middle of Mag Mile span nine categories. Plush and leather blue-gray furnishings are joined by tall creamy-white custom headboards and light-yellow walls. iHome docking stations let you jam out to your own tunes. An ergo-correct desk and chair help while working on the road. In the Specialty Suites is a wet bar, perfect for a bachelorette party or some in-room imbibing. Marble baths are stocked with Sobella towels and a cosmetic mirror to ensure you look great before heading out. Specialty Suites have two baths. Contemporary furnishings in bright jewel tones and plush fabrics decorate the lobby. There are plenty of spots to catch up with friends or work on your laptop. A 24/7 fitness center is on the 25th floor (with only partial skyline views). 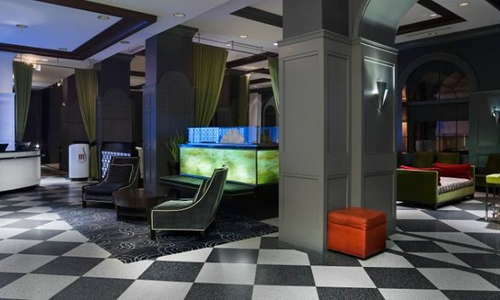 M Avenue Restaurant and Lounge is the hotel's sole dining and drinking spot, on the second floor. Although only open for breakfast and lunch, the nightly lounge menu features appetizer specials (along with reduced prices on drinks), which can be a fun prelude before going out on the town. Valet parking runs $60 a night, standard for a hotel in the Mag Mile area, but you really don't need wheels to experience Chicago. Just take the 3 or 26 bus down Michigan Avenue to the Loop. Uber and Lyft drivers are always close by to whisk you to the theater or dinner. You can't leave Chicago without trying its famous deep-dish pizza: book a table at Giordano's on Rush Street (3-minute walk). Stan's Donuts (5-minute walk) is a Chicago institution with weird, but delicious, flavors--and a quick breakfast on the run. Cocktails at the Drake's Coq d'Or (9-minute walk) are another way to celebrate 1920s and '30s design. Like Warwick Allerton Chicago, there's an intentional focus on highlighting that period. Dave & Buster's (15-minute walk) is a playground for adults and a sports bar, too, with arcade games, billiards, and bowling. To bunk in an historic building is a treat and thankfully the property has been refreshed and brought up to modern standards. 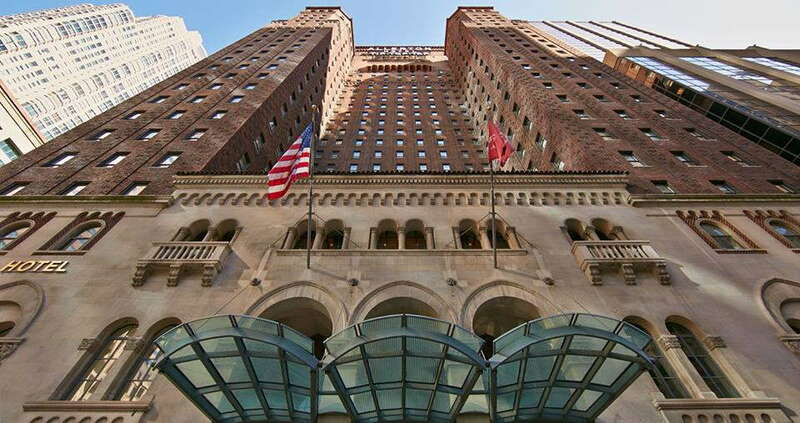 The location couldn't be any better, with theatres, shops, bars and the lakefront a short walk away, and convenient public-transit access or a quick car ride to the Loop. If you like historical properties that truly evoke the 1920s, you would be very happy here. $$ &middot; 505 N. Michigan Ave.
$$ &middot; 100 W. Monroe St.
$$$ &middot; 521 N. Rush St.
$$ &middot; 246 W. Cermak Rd. $$ &middot; 68 E. Wacker Pl.